This is Mothership is a lifestyle blog created by Samantha Silver and Gemma Rose Breger. Explore the trials and triumph of parenthood and learn helpful tips and tricks from award winning journalists and beauty directors. Having outgrown their old website we were approached by Sam and Gemma for a redevelopment. In urgent need of attention was their over all navigation of the site along with a complete rethink of their main landing page design. Inline with their existing brand we created a new website that is simple, elegant and informative. With a clearer break-down of information and a more comprehensive menu design the new responsive site is user friendly and easy to navigate. 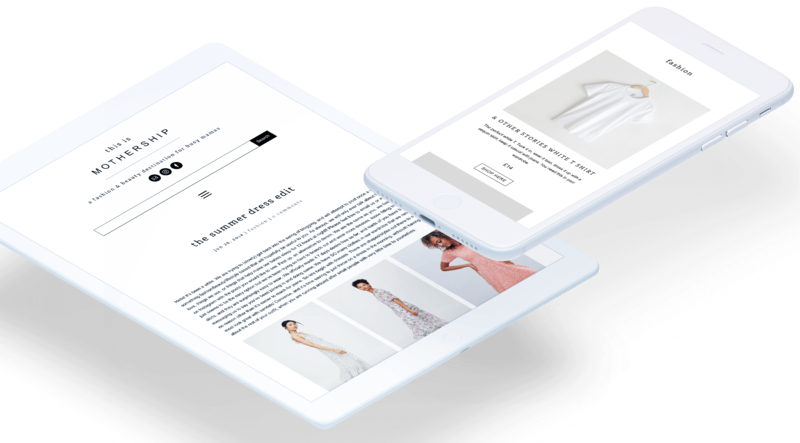 In addition to a redesign the site includes the integration of affiliate links, social media, newsletter subscriptions and more.